Hate crimes on the rise across the U.S. Hate crime incidents targeting Jews and Jewish institutions in the U.S. spiked about 37 percent between 2016 and 2017, according to data released Tuesday by the FBI. The rise is based on data that reflects an increased number of law enforcement agencies reporting to the federal government -- numbers that show an overall 17 percent increase in hate crimes. It was the third year in a row hate offenses rose in the U.S. There were 7,175 hate crime incidents reported in 2017, and a total of 8,437 offenses (some incidents included multiple charges). Hate crimes based on race, ethnicity or ancestry were the most common, making up about 60 percent of the total. Religious-based hate crime comprised about 20 percent of the total. The FBI data shows Jewish people and institutions were most frequently targeted, accounting for 58.1 percent of religious-based hate crime incidents. Muslims were the second most frequent target, at 18.6 percent. There were 938 anti-Jewish hate crime incidents encompassing 976 offenses in 2017, compared with 684 incidents encompassing 834 offenses in 2016, according to the FBI. The data from the past decade shows a decline in anti-Jewish hate crime through 2015, when 51.3 percent of religious hate crime offenses targeted Jews or Jewish institutions. The figures rose to 54.2 percent in 2016 and 58.1 percent in 2017. 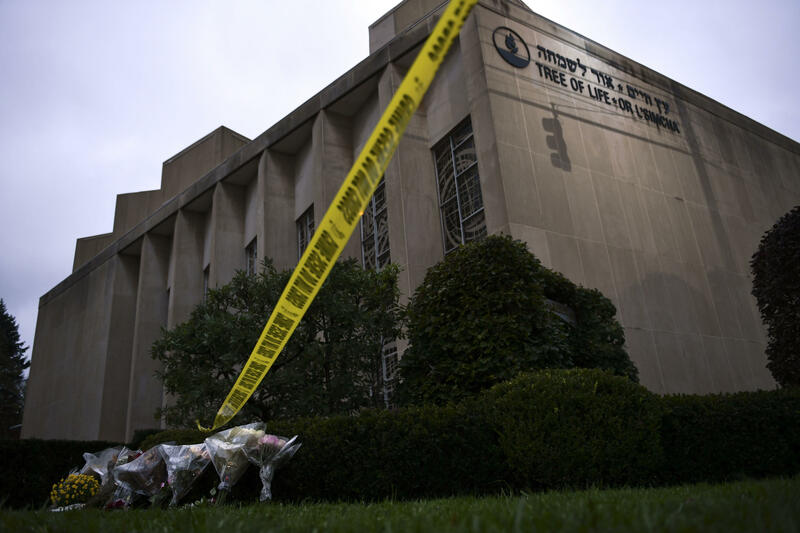 The Anti-Defamation League said the new data marking an increase in hate crimes is particularly concerning because it comes just weeks after a gunman fatally shot 11 people at the Tree of Life synagogue in Pittsburgh. The group said the FBI's data mirrors its own audit showing a surge in anti-Semitic incidents in major cities across the country. Anti-Semitic crime spiked in New York City, home to the largest Jewish population outside Israel, in the weeks leading up to the Pittsburgh massacre, CBS News reported last week. There were 31 anti-Semitic hate crimes reported in the first 28 days of October in the city, compared to 9 for the same period in 2017, a New York Police Department spokesman said. The Anti-Defamation League also released a report that found social media harassment targeting Jewish Americans increased around the 2018 midterm elections and two-thirds of those online attacks were from people, not bots. "This report provides further evidence that more must be done to address the divisive climate of hate in America," ADL CEO and National Director Jonathan A. Greenblatt said in a statement. "That begins with leaders from all walks of life and from all sectors of society forcefully condemning anti-Semitism, bigotry, and hate whenever it occurs." The FBI's latest report also found 15.8 percent of hate crime offenses in 2017 stemmed from sexual orientation bias. Bias over disability comprised 1.9 percent of cases, gender identity hatred comprised 1.6 percent, and gender bias made up .6 percent. Overall, hate crime incidents that stemmed from religious hatred rose about 23 percent between 2106 and 2017, while hate crimes motivated by racial bias rose about 18 percent and attacks on LGBT individuals rose 5 percent. Of race or ethnicity-based hate crime incidents both years, about half targeted African-Americans. "I think our polarized environment ... we see people bringing a kind of toxicity into the political conversations that we've never seen before," Greenblatt told CBS News' Meg Oliver. Most of the hate crime offenses — about 5,000 — were categorized as crimes against persons such as intimidation or assault, while about 3,000 were considered crimes against property such as vandalism, robbery or burglary. Some were categorized as both. Most — 78.3 percent — targeted individuals, while others targeted businesses, government entities or religious organizations. While about 1,000 additional law enforcement agencies contributed data in 2017 as compared to 2016, the ADL says a "serious gap" in reporting remains; at least 92 cities with populations exceeding 100,000 either did not report data to the FBI or reported zero hate crimes, according to the group. The data is based on voluntary reporting by police agencies. The FBI says it will launch training for law enforcement officers on how to identify hate crimes and report the data to the federal government. The Department of Justice also launched a new hate crimes web site which has information for law enforcement about reporting hate incidents.